This week, we're about to be in Christmas limbo. For some of us, bags are packed with pajamas and presents. Flights or drives are scheduled for some day this week. 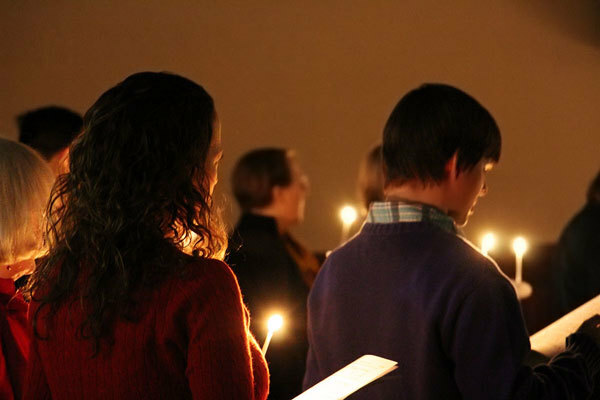 For you, we have our Travelers Christmas service at 6:30pm this Wednesday. It's Christmas come early! But this Sunday we still have the 4th Sunday of Advent, the season that's all about anticipating Christmas. So we're about to be mixed up -- are we anticipating Christmas or celebrating Christmas? 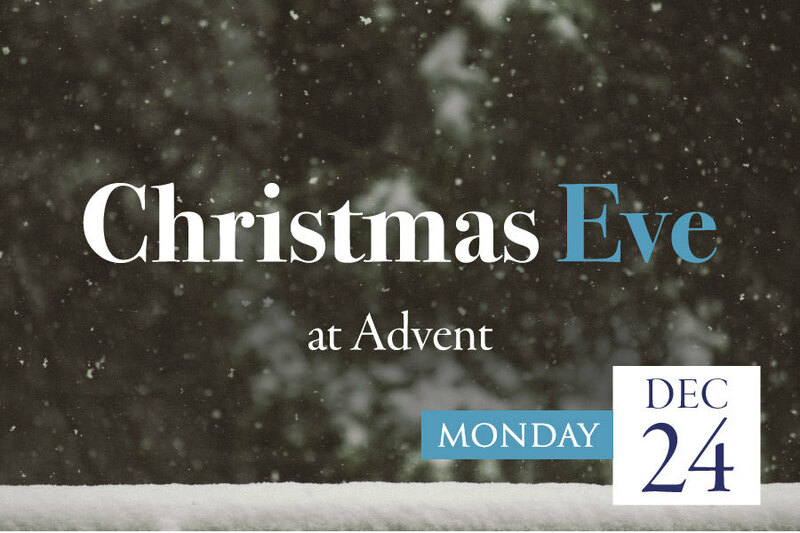 Whichever you choose, we at Advent are determined to get the most out of every day of the Advent season. Here are 11 highlights from our Advent season, from John the Baptist to candy cane sunglasses, to keep you reminiscing about this season of excitement and preparation. And below are a few more ways to engage in the Advent season this year before we celebrate the coming of Christ into our world. Art Installation - "La Pasión" | Recently we installed an art installation by Francis Timothy Walsh entitled "La Pasión". The triptych is inspired by the Passion of Jesus Christ and the pieces are entitled, "Viernes Santo", Sábado Santo and Domingo de Resurrección. This abstract set of paintings (each 29.5 x 40 in in size), is a meditative piece. Perhaps you are wondering why we choose to display it during the season of Advent rather than during Lent or Holy Week? As we face forward in the sanctuary, we focus on the coming of Jesus Christ. But this birth cannot be divorced from what is to come. The transformational power of this birth is empowered in the life, death and resurrection of Jesus. We cannot sing Joy to the World without understanding Go to Dark Gethsemene and later Christ is Risen. 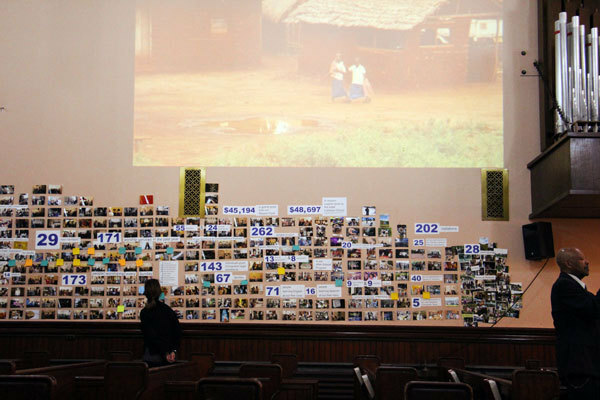 This installation anchors our celebration in the depth and breadth of the ministry of Jesus. "Natividad de el salvador" | Our new nativity set was commissioned from Christian Chavarria, the mission pastor at Pueblo de Dios in Caldaritas, El Salvador. Each piece is hand crafted by Christian, who learned to paint while living in a refugee camp in Honduras. Christian also created our double sided processional cross. He has created over 130,000 crosses, currently found in approximately 109 countries around the world, including a celebration cross created for the Joint Ecumenical Commemoration on October 31, 2016 in Lund and Malmo, Sweden. Elevator | As many of you know our elevator has been out of order for the past few weeks. After $10,000 of unexpected repairs, it is now ready for use. 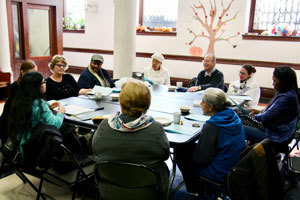 We'll be off for a little while due to Christmas and our annual congregational meetings in January. 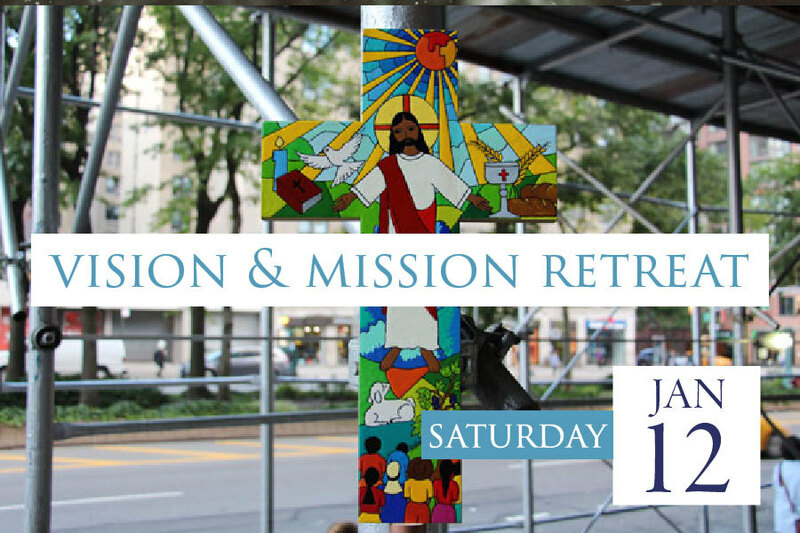 Stay tuned for a new Adult Faith Formation series in February! 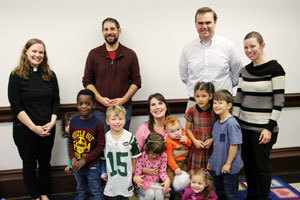 Sunday School | Join us for a Christmas party this Sunday from 10:05-10:55am in the Sunday School rooms downstairs. We'll be off on 12/30, and back 1/6.